Fourth floor apartment with elevator. 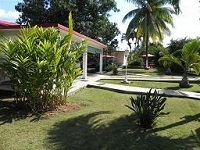 2 double rooms provided with air conditioner, fridge.. Both rooms share the bathroom (hot water). From the room you have a view of the old city. 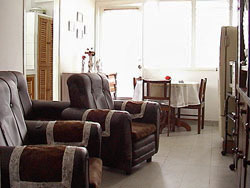 The apartment has a living-dinning room to share with the family and a panoramic old Havana view balcony. It is located at 500 meters away from the Capitol Building and "El Floridita" restaurant, 400 meters from "Convento de Santa Clara" and 500 meters from Plaza Vieja.